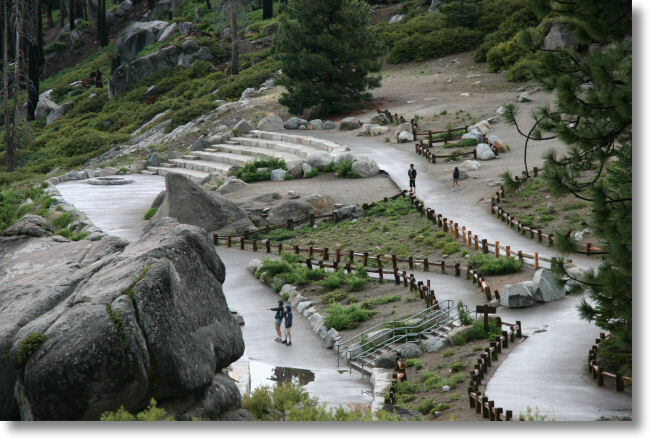 The Glacier Point amphitheater, which never seems to be in official use. It's probably held in reserve for royal weddings and park-ranger raves. The hikers in the photo are checking out the stunning view across the Merced River canyon to Half Dome, Liberty Cap, Nevada & Vernal Falls, and the Clark Range, among others. You've probably already heard this, but the views from Glacier Point are as five-star as they get, even by Yosemite standards.